zeelhouette: Autumn, I'm in Love! Autumn or fall is the season of the year between summer and winter, many plants become dormant because the weather becomes cooler. It's usually in the months of September, October, and November. In some other countries is on March, April, and May. November is the last month of autumn. 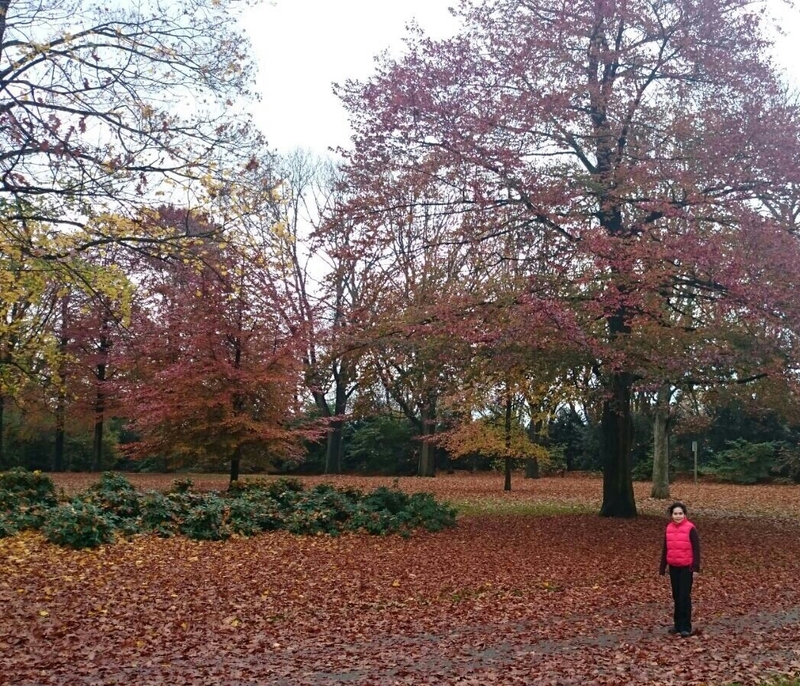 I have some friends who live abroad, when the season come they send me some photographs with the scenery of fall. I admire autumn, I'm falling in love with this season since a long time ago. It's really romantic and beautiful. I live in Indonesia, the tropical country with two season (wet and dry season), so, we don't have autumn here. Autumn is very special, the leaves show its beautiful color turns. All combined together in a wonderful scenery; yellow, red, brown, and green. Albert Camus quoted “Autumn is a second spring when every leaf is a flower.”. I can't agree more. 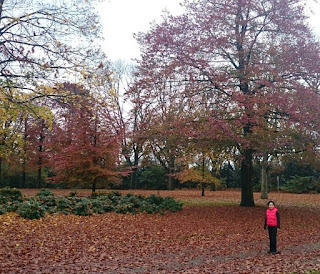 I got this beautiful photograph from my lovely friend in Uden, Noord Brabant. Her name is Desi, she's more than just a friend, because she can be a sister and even a parent. She is kind, funny, and caring person. She has been living in Netherlands for several couple years. 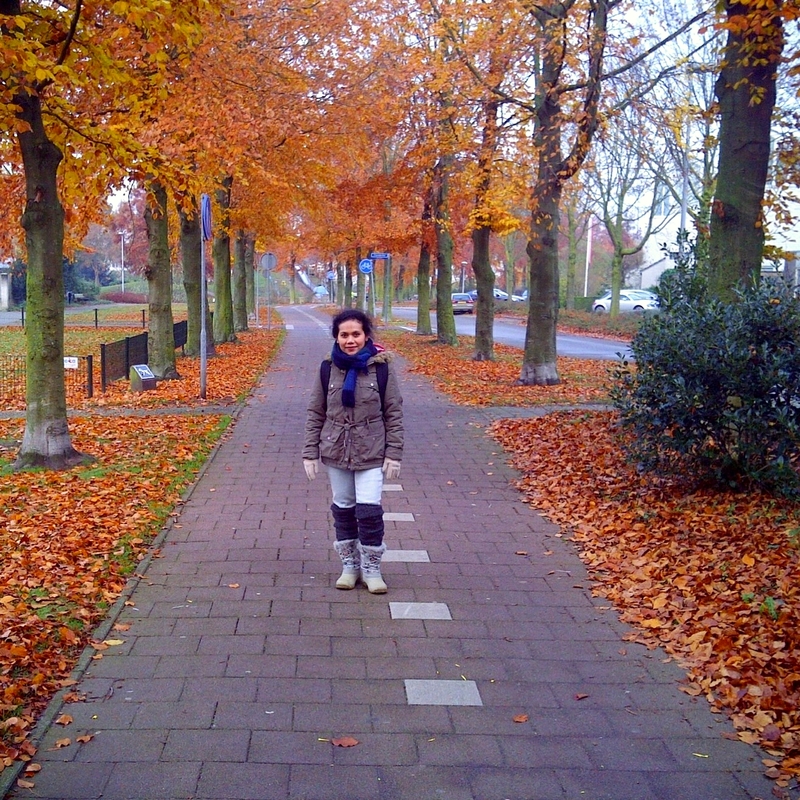 She told me about autumn in Holland. Some people there always say "Ik hou niet van hersft, somber voelen. ", it means they don't really like fall, it feels so gloomy. 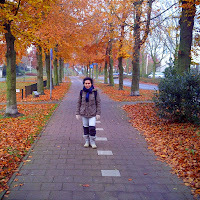 The weather changed drastically, from summer to colder temperature, the leaves fall and the sun is not so bright. But, some of them of course are very happy with the autumn because of the cool weather and the beautiful scenery of fall, and Desi one of them. I do love autumn as well, the trees fell asleep and leaves shed, prepare for the arrival of winter, they do not die because after that will come spring which has equally beautiful with the autumn. Eniwe, i love your pic. Sekarang udah saya pasang widgetnya. Yes... It's so beautiful, and I'm in love with autumn for sure. Aamiin semoga bisa berkunjung ke sana suatu saat nanti ya, mak. *hugs!